I’m slowly playing catch up with China, with the transition, with the UK. Before I jump into what’s been happening in the UK, I thought I’d just share further insight into some of the projects I worked on during my time in Shanghai and China. I have previously posted about day one of the opening of ‘The Unseen’, the Fourth Guangzhou Triennial in Guangzhou, China purely in pictures. 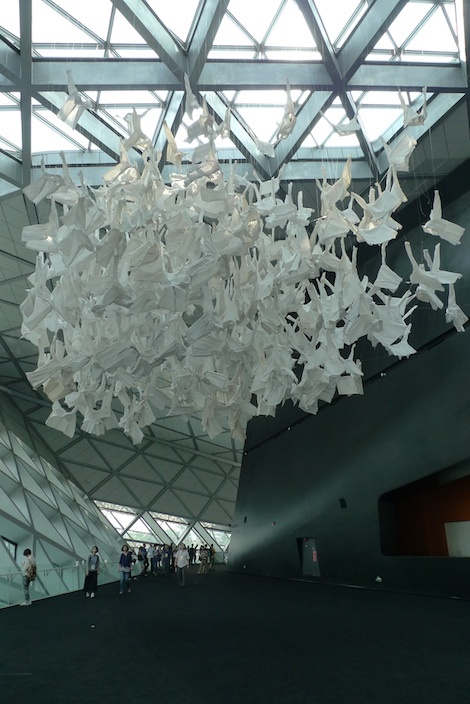 Here is a second round of images from the second day of opening events at the offsite venues – the Grandview Mall Project and the Guangzhou Opera House…in my view, particularly successful public intervention projects. The project is curated by Jiang Jiehong (Joshua Jiang, also my PhD’s Director of Studies) and Jonathan Watkins (Director of the Ikon Gallery, Birmingham, UK). It is on display until the 16 December 2012. I was only in Guangzhou for literally 60 hours, and as ever tried to see and do as much as I possibly could…definitely somewhere that I need to go back to and spend more time investigating. I’ll talk about the opening of the Ninth Shanghai Biennale next.